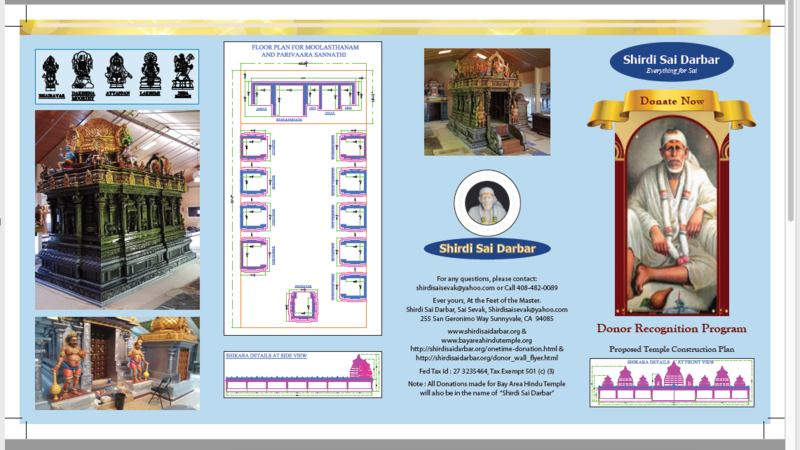 Bay Area Hindu Temple runs by Shirdi Sai Darbar management. 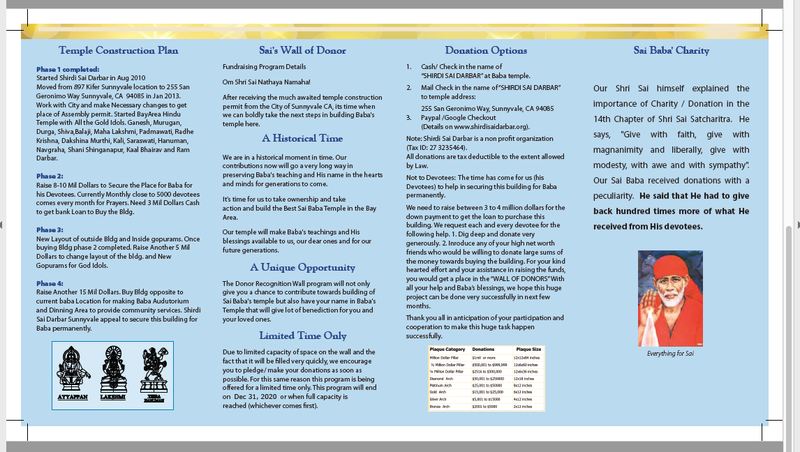 Created Bay Area Hindu Organization. Open ( First in USA ) temple for all Hindu Dieties . First Initial Sthan Pran Prathistha pooja for ganesh , shiva , Kali , Murugan and Hanuman was completed on Nov 14th 2014. First kali Bari Temple is the bay Area Pran prathista Pooja completed on Jan 10th 2015.